In this post i would like to show you how you can handle search forms while preventing pagination using session in cakephp.The basic idea is to set the entered search data in a session and add that as a condition for finding the records. We have simple PostController.php file in which we have the below code. Now, let's see what we have in index.ctp file. Below is the simple code to display all the records in tabular form. just below that , i have added pagination with next and previous buttons. and top of all added search form.In this form we are reading the session value and setting as a input field value.We have one reset button to reset the result. Thats it.!! 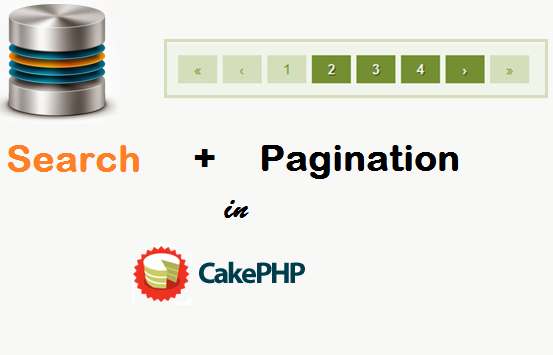 you have simple and basic demo of "Search with Pagination using Session in CakePHP" ready.. Please share your thoughts or any suggestions for improvement or if you have any issues, queries then feel free to comment.